Road racing can be a cruel sport. Manx-born rider Jamie Williams knows it only too well after losing a friend and role model last year. 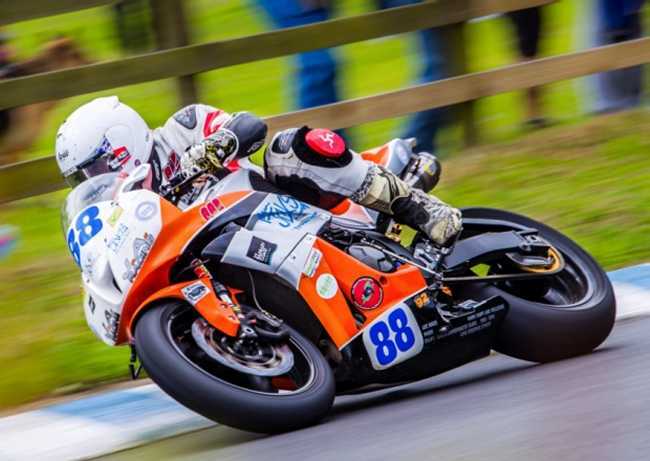 Billy Redmayne, who died in a racing accident at Oliver’s Mount in April, was a great inspiration to Jamie, who says that the opportunity to race alongside him will always be one of his career highlights. But despite what was at times a tough season for all, 2016 also proved a success story for Williams. He hopes that 2017 is going to be even better. ‘After a top-10 finish at the Southern 100 and a 115.7mph lap on my way to fifth place in the Manx Grand Prix Newcomers’ race, 2016 felt like a job well done’, said the fabricator from Douglas. Williams also had a win at Bishopscourt (Northern Ireland) and top-10 finishes at Scarborough, all aboard his trusted CBR600 Honda. Behind the scenes he was about to be offered a chance to ride another bike. ‘Billy Mckinstry got in touch to give me an opportunity for a run out on the team’s Supertwin machine at Anglesey, with the chance to race for them next season if all went well,’ added Jamie. Things did go well and Williams finished the weekend with a clutch of trophies and no fewer than five podium finishes. Most importantly though, a ride for the legendary Mckinstry team this year was offered. 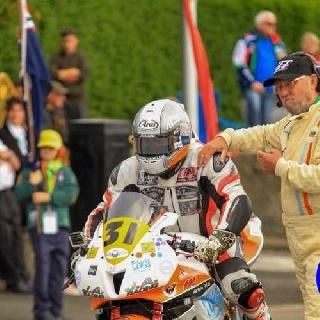 As well as Mckinstry, Williams received huge support last year from Chris Palmer at the Manx and fellow former TT winner ‘Milky’ Quayle, who works out of the unit next door to Jamie’s workshop in Ballasalla. In addition to them and his other sponsors, Jamie Williams was supported by the ’92 Club’, a collective of people that sponsored Jamie’s racing last year. So, 2017 is looking bright. A season on the Irish roads beckons, as well as a number of home events. Jamie Williams is certainly a name and a rider to watch out for.